Sen. Elizabeth Warren (D-Mass.) on Monday proposed the abolition of the Electoral College and moving instead to a national popular vote for presidential elections. 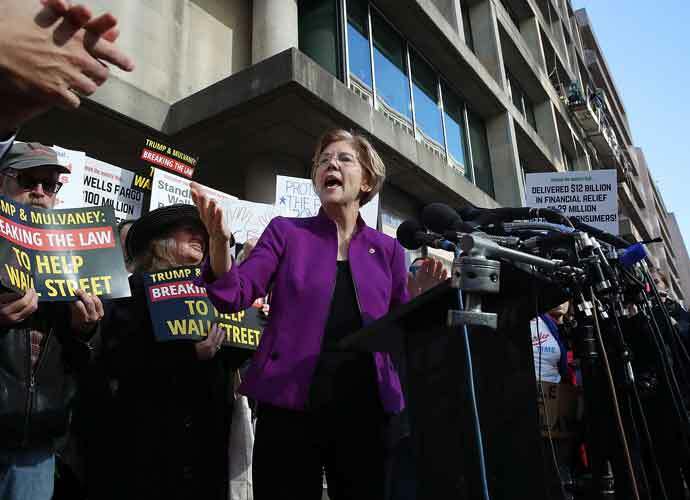 Warren, one of 15 Democratic presidential candidates for 2020, is among the most progressive contenders to be launching a bid against President Donald Trump. Warren stressed she wanted to make this point in Mississippi because, during a general election, “candidates don’t come to places like Mississippi” and other none-swing states. The Electoral College is a vestige of American politics that dictates, among other things, that presidential candidates can win an election it they secure at least 270 electoral votes (more than half of the 538 elected officials in Congress), even if they lose the popular vote. In 2016, Trump lost the popular vote by nearly three million votes but earned 304 electoral votes, while Hillary Clinton took home 227 electoral votes. “We’ve got to repair our democracy. The Electoral College needs to go,” Buttigieg, who is openly gay, said on CBS This Morning in January. Sen. Bernie Sanders (I-Vt.) — another 2020 contender who came up short in 2016 to become the Democratic nominee — called during the last election for a “reassessment” of the Electoral College. An agreement called the National Popular Vote Interstate Compact would be one step in abolishing the Electoral College. In six of the last seven U.S. presidential elections, the Democratic candidate won the popular vote. The only exception was the 2004 election, when George W. Bush defeated John Kerry by just over three million votes to win his second term.